Let’s be clear – bingo is not a game of skill. It’s an interesting game based on pure luck. For this reason (and many others), bingo is the favorite game of many men and women regardless of their age. Even though this is a game of chance, this doesn’t mean that you should start playing without taking a few things into account. 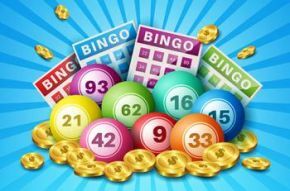 By learning more about this game and having these mistakes in mind, you should be able to enjoy online bingo more, as well as increase your chances of success. If you conduct research on the Internet, you will find many “special” guides, how-to videos, and even eBooks that are promising winning strategies. As we said before, luck is the most important (and the only) factor that determines the winners in this game. So, there are no techniques, methods, and rules that you should follow. Expecting to win in this game will only bring frustration. When you play online bingo, just relax and let the game surprise you. Even though it might seem impossible, there are cases when playing bingo on the Internet can lead to financial problems. After all, this game can be found on many casino sites which mean that it shares a lot of features with the other games available, including the fact that you are playing with real money. There are a few ways to avoid digging yourself into a financial crisis. For instance, you should create a budget and stick to that budget. Of course, this budget should be realistic and it shouldn’t affect your everyday life. Some people are buying virtual bingo tickets with lower values – 1p, 2p, 5p or 10p. So, even if you purchase ten of them, your budget will not be affected that much. Finally, you can also try free bingo games, but keep in mind that these games can’t provide real cash prizes. While it’s true that if a bingo site is present on this market for a few years, it usually means that it is a good site. However, it’s also true that some older bingo sites lose their spark as the years go pass. That’s why you should conduct research. A good bingo site, like Heart Bingo, for example, have consistent positive reviews and ratings which proves that it has not yet lost its luster in keeping and retaining its players. Obviously, you should also check their terms and conditions and other things that can help you determine whether you are looking at a reliable website or not. There are literally dozens of bingo sites on the Internet. It’s always a smart idea to gain more than one experience. Remember that it’s free to join a website like this, but you’ll probably have to place a deposit before you start playing. Take your time and join a few of these websites. Check what they have in their offers – bonuses, T&Cs, selection of games, payment methods, customer support, etc. After that, keep coming back on the best ones.